This is the first time I became black in entire of my Pico life xD Well, I was just thinking that I should change something and yeah, I think I look like a Joker with my look ahaha... well I kno, I'm wearing a joker outfit. Cat introduced me to her friend, Luilz Sinclair. Well, he is nice and I'm really happy to get along with other people. Also, these days, Anna is getting active and it is suche a relief to see Étoiles active :D Well, it was fun talking with these people today! Please consider our entry for the Ameba Pico Contest. We are having a hard time on uploading our entry with facebook uploader. So we decided to upload it here in our blog. Thank You! There were so many bugs, glitch, hacks and exploits around Ameba Pico. After the maintenance today, the buddy list had been fixed after our sufferings within two months. 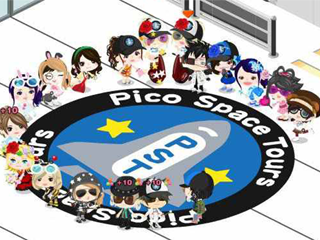 All of us are like "alone in this world" and most of the non active pico players who onlined within those times thought that their friends doesn't online anymore and most of us are making events "public>private please" to ask them to re:online their status so that they'll be available in our buddy list. We have found a bug considering Black Jack game in the Casino area. We apologize that we are closing Black Jack for sometime until the problem found has been fixed. Sorry about the trouble, and please keep enjoying Pico." The bug finally got a solution after MONTHS? Wow! I don't think it's a nice news for everyone. Well, it's nice because the bug/problem finally will be fix but... the bug/problem finally got a solution after months isn't a really great news. Just like the buddy list. It is fixed after months. Now, the black jack is temporarily closed again because the found out the solution for the card reading. Hmmm? I think they should be more alert and at least fixed the bugs/problem immediately and not so-late because there are so many picos who are being disturb of it specially the non-stop maintenance. Étoile Sisters : MaiRie Étoile X MiaRi Étoile also known as Étoile Blog hits 100,000 Views within 8 months and 7 days! We are really thankful to those people who always read and support our blog. You've been reading our life in our favorite Virtual Game, Ameba Pico on how wonderful we've been doing. We meet a lot of people, make new friends, join contests, share fun, experience struggles and you guys have been watching us on how we pass the trials. We know that we've been inspiring people in many ways and we are so happy that we can actually inspire people around us. We hope that you guys, our readers and supporters will keep being with us with our journey and let's make a lot of wonderful memories in our Virtual Life! JUST A DREAM - PHOTO CONTEST! We are really thankful to everyone for supporting us! We hope that everyone will keep on supporting us from now on. 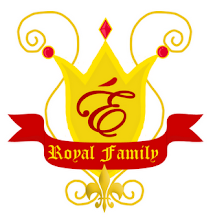 Specially our new projects and groups. Pico Rock band, VIP, our up coming videos also our upcoming events for everyone! Just a Dream on Pigg!